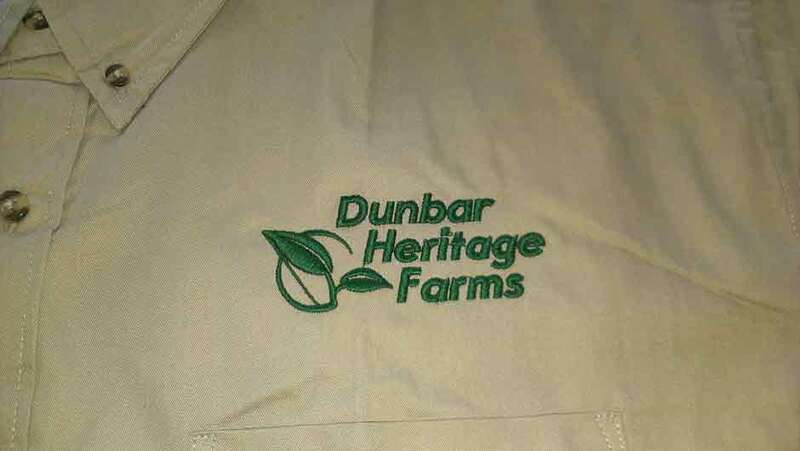 Here are some embroidered shirts we made for Dunbar Heritage Farms. They came to ZAT with their logo and we have been working together to help them create their image and branding. We’ve been putting the Dunbar Logo on shirts, business cards, stickers, etc. Look for them at a farmer’s market near you…great people with great produce!